Because few outsiders know anything about the Hutterites, a Plain Christian group related to the Amish and Mennonites, this book offer a rare-glimpse into Hutterite life. 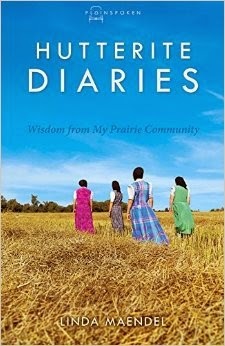 This is a very well written book about life of the Hutterite Colony. The Author, Linda Maendel writes with such ease that you feel like she is speaking directly to you. I didn't read all of the stories, but I did read most of them. I knew about "Amish" , but not the "Hutterites", so being able to learn about the difficulties the Hutterites had to go through, SHOULD make us a little more compassionate for those who walk a different path. This is a wonderful book, and I enjoyed reading it. I will def go back and read the stories that I didn't read the first time. I recommend this book to anyone wanting to learn more about the Hutterites!